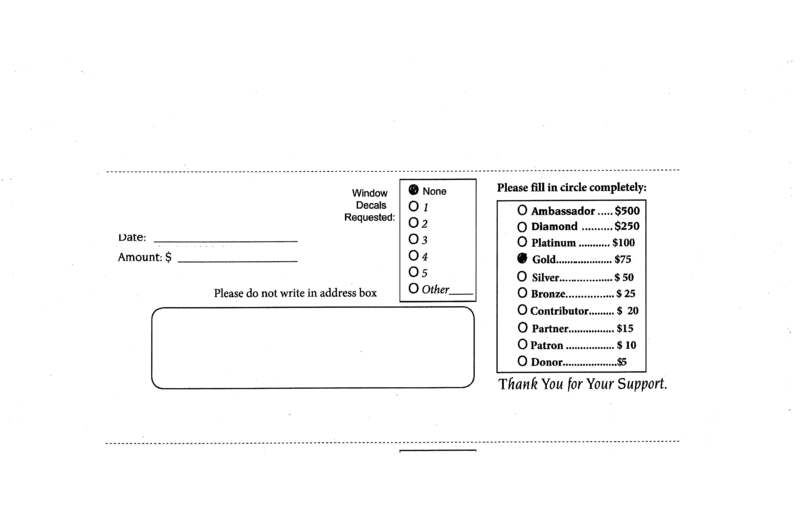 Hello, I am working on a program to OCR fundraiser slips in an attempt to save time. The issue I am having is each slip is not the exact same size so when i set coordinates to crop the three info blocks its not always exactly correct. I can change the slip any way I like so I am thinking if I place the information inside rectangles I can crop the rectangles but cant find a good solution. Maybe fill the background color to black and crop only the white areas of the photo? Or maybe there is a better solution I am not aware of. 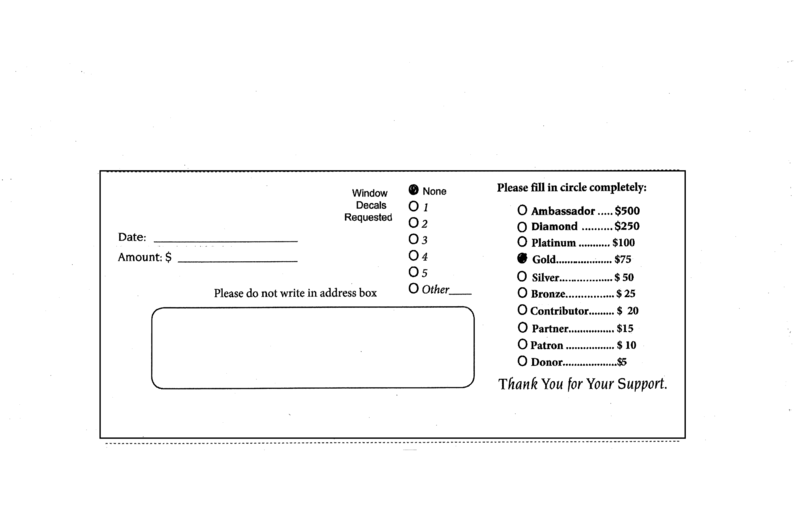 If this is a standard form, I would suggest putting registration crosses in the corners. You can then locate each registration mark and warp the images based upon the registration mark coordinates to match. See -distort Affine. Otherwise, trim the images to the ends of the two dotted lines and use the corners of the trimmed images as control points for the registration. How can I crop based on say a line across the very bottom of the slip? That seems to be the simplest solution? Sorry, but I am not sure where you want to crop. Please clarify or make a drawing showing what you want to crop? How can I get the image cropped to just the outer rectangle as that would give me the consistency I need to crop the different text items separately with a great deal of consistency. The regular trim function does not work properly as its a scanned image and from what I read scanned images are rather dirty with dead pixels. Is there a simpler way to clean the dead space so I can trim to the outer box that can be implemented into a larger program? All I really need is the difference in the scans to go away as some people cut the slip off in different places making for a different amounts of dead space around the text. The rectangle around the area I need will give me a reference point but I need a way to trim to the outer rectangle every time. Another way is to scale the image down to 1 column, threshold and trim to get the hh and yoffset. Then repeat to scale to 1 row to get the ww and xoffset. Then use those values to crop the image. Here is the command to get the image down to one column and then scale up to 50 columns to see what I am doing. You can actually keep 50 columns (or rows) and trim, since you are only getting the hh and yoffset. So the width does not matter. With a large enough threshold (about 10%), you can remove the bottom black short line below the dotted lines. fmw42, Thanks for your input I really appreciate it, I will play with those examples you gave and see what works best withing the program I am building. I found -kuwahara first then -trim with a high -fuzz percent accomplishes a crop exactly as I want. I don't notice any real text degradation with such a high fuzz factor. Also this method expands my mulitpage tif file for me while running it through the kuwahara filter then from there I can run a crop to the outer rectangle of all the .png files in the folder. Kuwahara is a noise smoothing filter. But if using too large a value, it will smooth your image as in the examples at https://imagemagick.org/discourse-serve ... =4&t=26480. For small arguments it will remove your spot noise that is limiting the trim. Since this works for you, it looks like a good way to do all the pages at one time. The high fuzz values is needed since you have nearly binary data, but still have noise, though it is smoothed to brighter values. Anyway, that certainly seems like a good way, since it seems to work. But you can do that all in one line. Thanks again for all your help, I will mark this thread as solved in the title.